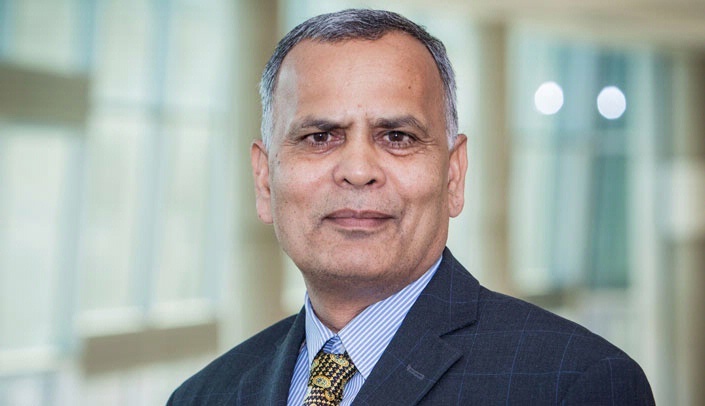 Ram Mahato, Ph.D., professor and chair of pharmaceutical sciences, is co-author of a new textbook, Pharmaceutical Dosage Forms and Drug Delivery, third edition. "This textbook is written for teaching professional pharmacy (Pharm.D. ), as well as graduate students interested in learning more about pharmaceutics and nanomedicines," Dr. Mahato said. "It elucidates the basic principles of pharmaceutics, biopharmaceutics, dosage form design, and drug delivery -- including emerging new biotechnology-based treatment modalities." The book highlights the increased attention that the recent spectacular advances in gene therapy and nanotechnology have brought to dosage form design and drug delivery. 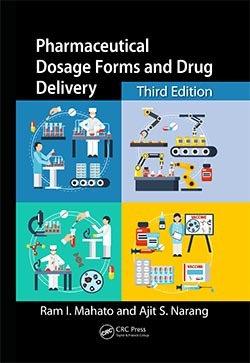 Apart from revising and updating existing chapters on the basic principles, the third edition highlights the emerging emphasis on drug discovery, antibodies and antibody-drug conjugates as therapeutic moieties. Dr. Mahato wrote the book with his former graduate student, Ajit Narang, Ph.D., now a senior investigator at Genentech, Inc.
Courtney Fletcher, Pharm.D., dean of the UNMC College of Pharmacy, wrote the book's foreword, saying, "I am confident this book will enable deeper understanding of fundamental principles of pharmaceutical sciences and wider perspective of their practice to our next generations of pharmacy students." Congratulations, Drs. Narang and Mahato! This is a well deserved accomplishment.